What’s the Next Step for Psychology and Religion? As a psychologist, Dr. Carter has distinguished himself as one of the leading and most influential professionals in Georgia. He has served as President of the Georgia State Board of Examiners of Psychologists and as President of the Georgia Psychological Association. Not only has he been a pioneer for his profession at the state level, he has also been active on the national level. 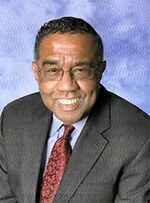 Dr. Carter was the first African American elected President of state leaders for the American Psychological Association. This unit of A.P.A. represents the presidents of the 50 states Psychological Associations and the Canadian Provinces. Dr. Carter is a recipient of the Karl F. Heiser Presidential Award for Professional Psychology by the American Psychological Association. Prior to the year 2000, Dr. Carter was one of the highest elected African Americans in the American Psychological Association and served on the Committee for the Advancement of Professional Practice, The Board of Professional Affairs, The Board of Convention Affairs, The Committee on Urban Initiative and The Committee for the Recruitment, Training and Retention of Minority Psychologists. During the 1998-1999 term of Dr. Richard Swinn, past president of A.P.A., Dr. Carter served as one of his “cabinet” members. Dr. Carter has also served as C.A.P.P. Liaison to State Leadership Organizing Committee, member of The C.A.P.P. Coordinating Committee, member of The Subcommittee for Implementations for Integration of Diverse Practice Agenda (integrating State and Division agendas for practice), Consultant for Governmental Relations in Practice Directorate and Personnel Subcommittee for Practice Directorate. Locally, Dr. Carter has served as Director of Clinical Services for the Morehouse College Wellness Center. He received his B.A. from Morehouse College and his Ph.D. in Clinical Psychology from Columbia University in New York City. His clinical internship was completed at the University of California School of Medicine in San Francisco, California. Dr. Carter is currently in full time private practice in Atlanta, Georgia, teaches in the Psychology Department of Morehouse College and serves as a consultant to WSB-TV, Channel 2; WAGA, Channel 5, CNN and Jet and Ebony Magazines. He has also served as contributing writer to the Atlanta Tribune and The Atlanta Daily World. Dr. Carter is the author of the psycho-spiritual book: “What is This Thing Called I” and has published many articles addressing the apparent relationship of the mind and spirit. He is currently the producer and host of a new television series: Who Am I- A Psycho-Spiritual Perspective airing weekly on the Atlanta Interfaith Broadcasters Network (AIB).